We can site a good number of people that had made millions online. However, others find it difficult to make up to 5 dollars a month. The online business being the best form of business require hard work. The following are some ''viruses'' that will cause you to quit the online system. 2. Seeing money :Most people fail to make money online because they believe when you see money , you will probably have it. Well actually we have to work to have money. Most people in this category usually fall into MLM scams. You just receive an opportunity that show someone made 1000 dollars in 5days . If you fall in this category, you will immediately sign up and start losing money and time without knowing what you are doing. To avoid this always ask what you have to do for any given opportunity to have money. Making money online is not WYSIWYG scheme. 3. Want money but dont have what to do with moneyHave you asked yourself what you want to do with money? If not just take a puase and refelct on that. This might seem strange but it is responsible for most people inability to make money online. Imagine some one with a family of let say three that decides to make money online that decides to join a PTC program that pays 0.001 dollars per click. what will you do? Most will not take time to calculate how much they can make within a day,week or month. What is of interest is '' i want money'' . 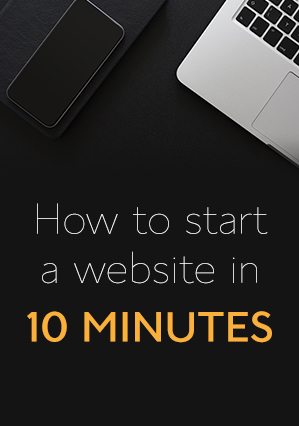 Finally you see yourself spending hours sending traffic to others websites. Of course you can see yourself with 1 to 15 dollars per month. I dont know how satisfied you will be with that. To avoid this always make sure among other things you calculate how much you can make within a day, week or month. consider if the money you want to make will serve a purpose in your life. Becareful with programs that promise you millions per day! 4. ImpatienceSometimes we believe we can make money without putting in time and effort. Some online businesses can take you several months before giving you real cash. To be on the safer side, make sure you verify how long it will take for you to start cashing out. Some businesses require you to be patient enough to start earning. -Is the program free or require payment for sign up? - Is the program legit? -who are those who give testimonials? -how long does it take to earn? -what else is needed to make money with this program ? 7. The believe of no investment Every business require investment. If you join a program that is free, then probably you need to invest time an effort to make earnings. You might spend 2-30 hours per week in an online business. so make sure you consider the time you need to invest in an online business. Other businesses require investment interms of money. Most who fail online usually join such programs just to discover later that they need tp make some payments in other to start. 8. Putting your eggs in one basket ;This say is common but hardly applied. Sometimes we join programs that offer real cash and later on the programs stops or reduces its commissions.This might affect you earnings and cause you to quit.It is thus very important to consider if the program you want to sign up for will last or it is just a temporal program. They are millions of businesses online. most people fail to make money online because they try to do many businesses at a time. Infact you want to do evrything online to have money . You will probably end up spending useful time and resources on various sites but finally making no cash. So ensure you are specific in your business. Do you want to make money as an affilitiate,blogger or freelancer are things you should consider so that you can spend useful time building up your business. Thank you for the comment. But can you let me know what is nice? Thanks for listing the details and making a strong point of what to avoid to make money online.I stress that...There are many ways to earn through online and we should select the one that is not a scam and legit way to make money.We have to plan on what business to start with,equip ourselves for it and then start the business.To find whether the business is legit or not you can go through reviews about them.You will get an idea since it will be honest feedback. reseller I came across Goresellers.com and ensuring their safety using the legality checking sites,I proceeded further and got an account with them and was provided with web services.Since many people are interested in opening a website for their business I got many requests and fixed my desired price for the web service and sold them.For each sale I got paid on commissioned basis. I have just shared my experience and hope it is useful for many.